Former Chairman and CEO of Turner Broadcasting System, Inc.
Phil Kent was chairman and chief executive officer of Turner Broadcasting System, Inc. (TBS, Inc.), from March 2003 to December 31, 2013. He is responsible for a portfolio of news, entertainment and animation, young adult & kids networks including CNN/U.S., CNN International, CNN.com and HLN; TBS, TNT, Turner Classic Movies and truTV; and Cartoon Network and Adult Swim. Globally, Turner Broadcasting operates some 130 channels in 30 languages in more than 200 countries. Kent was named to his current role in February 2003. Earlier, he served as president and chief operating officer of CNN News Group, where he oversaw a strategic reorganization of the news division. His career at TBS, Inc. also includes broad international experience as president of Turner Broadcasting System International (TBSI), the division overseeing Turner’s business activity outside the United States. At the helm of TBSI, Kent led a regionalization strategy that introduced local-language versions of CNN and the Turner entertainment networks around the globe, further strengthening the company’s position in critical international markets. 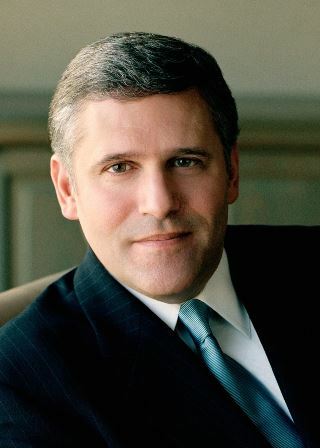 Kent joined Turner Broadcasting 18 years ago as president of Turner Home Entertainment, the former division comprised of the company’s home video, new media, licensing & merchandising, international theatrical distribution and book publishing operations. Previously he spent six years with Creative Artists Agency (CAA) as a packaging agent in that company’s television department. In 1981, he helped launch Blair Entertainment, the television syndication division of John Blair & Co., where he began his career. Kent earned a bachelor of arts degree in economics at Lehigh University. He serves on the board of directors of the National Cable & Telecommunications Association; is immediate past chair of the board of trustees of Atlanta’s Woodruff Arts Center; is a member of the Dean’s executive board of UCLA’s School of Theatre, Film & Television; and chairs the Atlanta Committee for Progress. He is a member of the Broadcasting & Cable Hall of Fame.